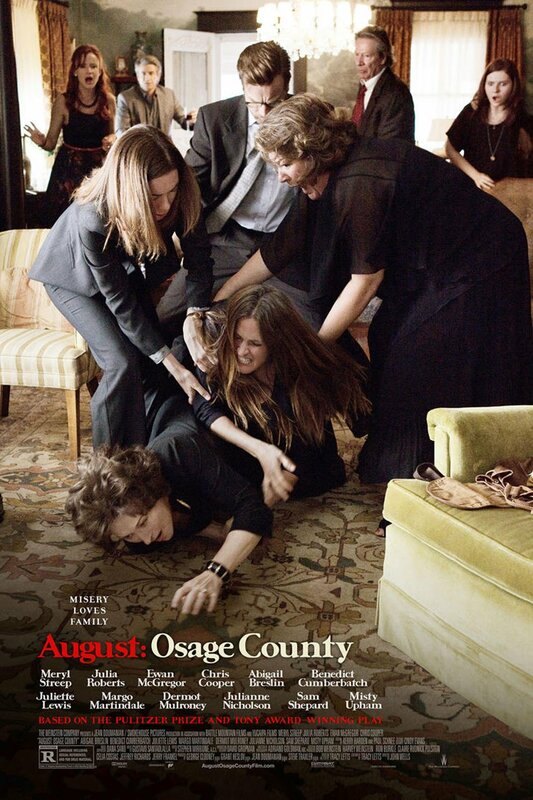 As far as films with an ensemble cast go, August: Osage County is among the best. Its star studded line-up filled out by Meryl Streep, Julia Roberts, Ewan McGregor, Chris Cooper, Juliette Lewis (just to name a few) is enough to get movie goers in seats. What pays off even more are the exceptional performances during the constant sparring between these highly dysfunctional family members. The Westons have a large family and appear to have it together from afar. To get a closer look at their nippy relationships would require Jeremy Renner’s cumbersome hurt locker suit. Streep takes over the role of uncensored Violet, and its her sniping attitude along with the heavy Southern heat that start the tension fuelled arguments. As the family reunites to mourn the loss of one of their own, skeletons can’t help but fall out of the family’s individual closets. Secrets, brutal truths, and hidden motivations are revealed at a painstakingly uneasy roll out – all done on purpose with jet black humour and no signs of soapy qualities. The revelations in August: Osage County are being adapted from the Pulitzer Prize winning play of the same name. It’s playwright Tracy Letts has written the film adaptation and filmmaker John Wells takes the directorial helm. The audience doesn’t feel like we’re watching a straight copy of what theatre goers have already caught. Wells has given the film it’s own cinematic atmosphere while staying faithful to the bottled restraint of scenes featuring the family placed at one setting for a long duration. The dinner table is where most of the airing out occurs, and the actors have been given pages of dialogue to memorize. Yet, this superbly written scene is one for the books as we’re slowly pulled into the distressing and occasionally funny tempers. Wells doesn’t let the written work discourage his filmmaking abilities and he’s able to rise to the complicated adaptation. Some scenes are a little too literal with their meanings and character development, but it hardly steps over a line. I did leave August: Osage County trying to figure out what the overall point of it all was. It’s unclear and scattershot as to what audiences are supposed to draw from it. 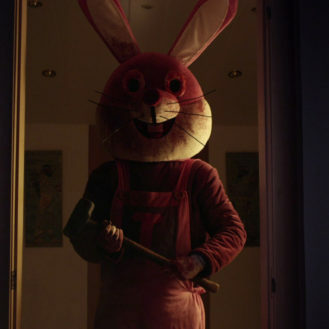 Is it here to teach a lesson or is this Letts’ twisted idea of entertainment? Either way, it’s a rare case where I wouldn’t mind revisiting this complicated family to figure it out. I wouldn’t mind at all. Given how unlikable these characters are, that’s rare for this critic. It’s a statement towards how impressive the stacked cast is with this material as well as how the film’s sweltering and dusty locations have been utilized. Underneath it all is a group of artists painting a twisted portrait of kin who resist becoming their elders but can’t help falling into order anyways.